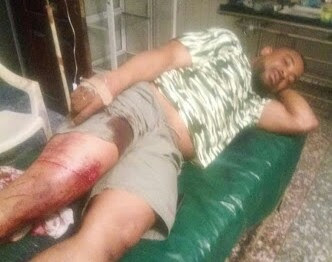 Assassins Shoot Governor Udom's Aide who Resigned & Joined Akpabio? A former Special Assistant to the Governor of Akwa Ibom State on Electoral Matters, Barrister Mfon Udeme has been shot by alleged assassins. Barrister Udeme, who is a supporter of Senator Godswill Akpabio resigned his appointment last month and defected to the APC, was shot in the early hours of Thursday. The attack may not be unconnected with local politics in Akwa Ibom.